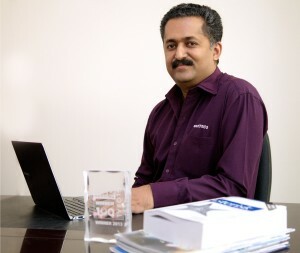 Bangalore: *astTECS, an enterprise telecom technology company and Asterisk based Open source communication solution, today announced the launch of cloud-based voice logging solution. It is an ideal call-recording solution for stock brokers and broking firms that ensure to improve compliance and better customer services. The voice logger harnesses the power of cloud and enables all stock broking firms execute trades of clients, by keeping evidence in the form of voice recording and further strengthen regulatory provisions. The recent SEBI circular: CIR/HO/MIRSD/MIRSD2/CIR/P/2017/108 makes it mandatory for stock brokers to execute trades of clients, only after keeping evidence in the form of voice recording, effective Jan 01, 2018. Stock brokers can download and install *astTECS voice logger application from the play store. Once installed on the mobile, all incoming and outgoing calls are recorded and pushed to the cloud server via mobile data or Wi-Fi and saved for future reference. The voice recordings are securely stored in *astTECS cloud and can be accessed by local or admin user. The solution is compatible with all android phones 6.0 onwards. It supports ISDN PRI line to record all the incoming and outgoing calls for monitoring and disputes resolution. 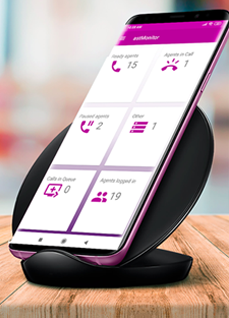 With its advanced features, flexibility and ease of use the solution helps broking firms of all sizes increase productivity and customer satisfaction, with higher quality management and delivers scalability and unlimited storage of all calls, without the need for any additional hardware. The solution supports logging across multiple PBX sites or branch offices, with the ability to search, sort and locate calls within seconds. “For the first time, a simple and highly affordable cloud-based voice logging solution is here that enables stock broking firms of all sizes to become fully compliant”, said Dr. Devasia Kurian, CEO, *astTECS. The solution has been designed to enable compliance with the consumer protection, record-keeping and data security requirements, he added.